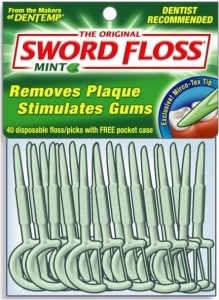 Using a gentle sawing motion, insert regular floss between teeth and under the gumline. Clean under the gumline as directed above. Use a fresh section of floss for every tooth.